Cabo Villas Beach Resort & Spa in Cabo San Lucas, MEXICO! Buy a a 7 Night Stay in a 1 Bedroom Suite! Cabo Villas Beach Resort & Spa! Discover the perfect vacation getaway at Cabo Villas Beach Resort & Spa. 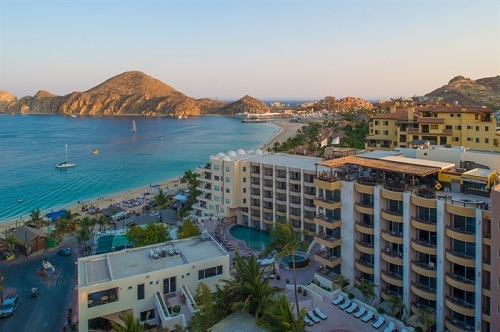 With the spacious suites, gracious amenities and stunning views, this hotel's location in "the heart of Cabo" San Lucas makes it the ideal choice for an unforgettable vacation. 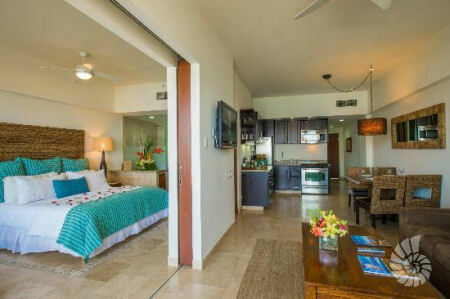 Featuring specialty suites, Cabo Villas Beach Resort & Spa boasts gorgeous accommodations that will take your breath away. 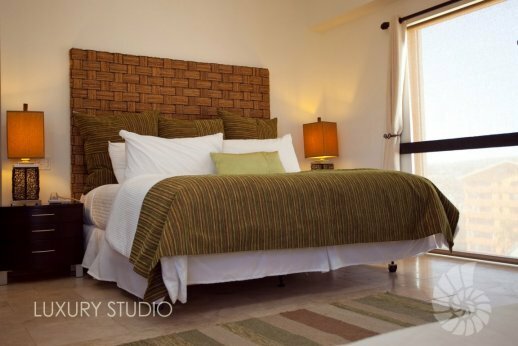 Whether you are planning a family vacation, a relaxing honeymoon or destination wedding, Cabo beach villas will provide contemporary accommodations with style. Whether you like to relax on your vacation or get out and explore the local area and culture, Cabo Villas Beach Resort & Spa is the perfect vacation place for everyone. In addition to close proximity to Medano Beach and downtown Cabo, it offers exclusive fishing charters on Bad Medicine, a large 35-foot yacht equipped with specialty fishing equipment. Just minutes away from the best restaurants, shops and beaches in Cabo San Lucas, you're sure to enjoy your stay at this hotel. Relax and unwind in style at Cabo Villas Beach Resort & Spa in Los Cabos. This beachfront resort features five-star accommodations with all the comforts of home and upgraded amenities that take your vacation to the next level. Each of the 138 well appointed suites are designed with your comfort in mind, and include a full range of amenities including premium cable TV channels. From the plush bedding and turn-down service to stunning views, you're sure to be impressed by the gracious accommodations at this beach resort. Each room is individually furnished, and may be slightly different than the image shown.